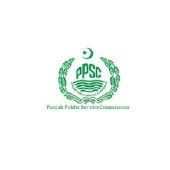 Lahore, Punjab Public Service Commission Lahore has announced the PPSC DEO typewriting test result 2018 of the candidates. The candidates applied against vacant posts of Data Entry Operators in the Lahore High Court Lahore. The candidates, who appeared in the typewriting test for appointment against this post, they can watch the detailed information of their PPSC typing test result 2018 of PPSC data entry operator. The candidates will check their names with status and their interview will be conducted soon.